Meter readings are collected by District personnel towards the end of each month. Typically bills are mailed out at end of the month with payments due upon receipt. A 10% penalty is assessed on the 21st day of the month. STEP 1: Locate your meter box, generally found towards the front of your property, near the street. The box is typically in a direct line with the main outside faucet. It is housed in a concrete box usually marked "water". Remove the lid by using a tool such as a large screwdriver. Insert the tool into one of the holes and pry the lid off. STEP 2: Once you have the meter box lid open, lift the protective cap on the meter. On the face of the meter, there is a large dial and a display of numbers. 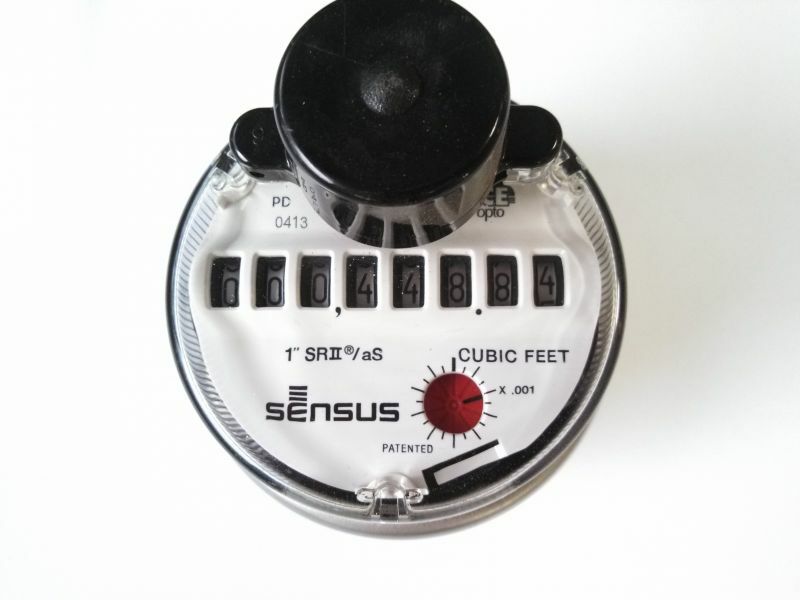 For the residential meter, each rotation of the dial measures 1 cubic foot of water. Read the number display from left to right. Be sure to include the stationary zero. This is your meter reading. Compare that reading to what is printed on your current bill. Charges for the amount of water consumed are billed in units of 100 cubic-feet. STEP 3: Keep in mind that you might be checking your meter on a date different from the one used for billing. This could result in a difference in the amount you find, compared with the amount on which your bill is based. However, if your reading is considerably higher than what is on your bill, check for a leak or try to determine the source of large water use. Please refer to the information below in determining if you have a leak. Remember, we are happy to help you should you need any assistance in reading your meter or determining whether or not you have a leak. Please call us -or- simply send us an e-mail using our Contact Us link under the Customer Service tab. In order for you to tell if you have a leak you must first confirm that you are not using any water (inside or outside). 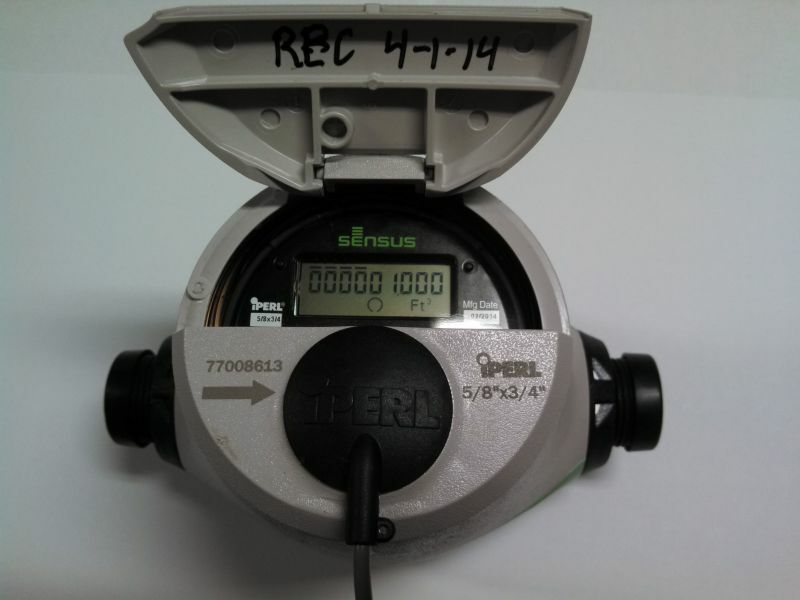 Once you have done that, please look at your meter dial and look for either a red dial (on our SR-II meters) or a circle underneath the digital display (on our iPERL meters) and note whether you see them spinning. Should you see it moving...you have a leak. Please remember that we are here to serve you and that you can call us to assist you in confirming whether or not you have a leak.